Hire Musicians! Find a Teacher! Thank You for your interest in Local 33 of the American Federation of Musicians of the United States and Canada. The AFM is the largest organization in the world dedicated to representing the interests of professional musicians. 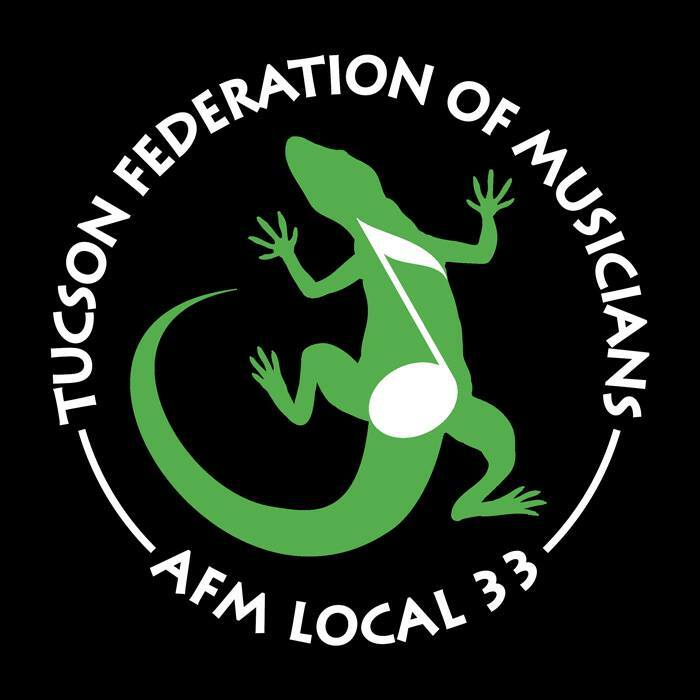 Local 33 represents the finest professional musicians in Tucson, AZ. The AFM has been promoting and protecting professional musicians for over 110 years. Local 33 is an effective advocate for musicians’ rights in the workplace (be that a nightclub, a symphony stage, in a recording studio, or on tour). The AFM and Local 33 protect the recorded works musicians produce from being exploited, and protect our members live performances by providing several types of benefit programs that help them to build successful careers. Members of Local 33 of the AFM are secure in knowing that their organization is actively lobbying to promote legislation and public awareness that protects musicians’ interests, negotiating collective bargaining agreements with the recording industry, motion picture industry, jingle industry, TV networks, National Public TV and Radio, and providing excellent wages and working conditions for its members. 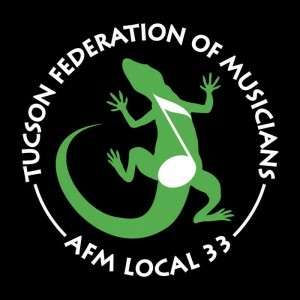 Tucson Federation of Musicians (TFM) (Local 33 American Federation of Musicians (AFM)) website dedicated to advocating for Tucson’s and Southern Arizona’s professional musicians (instrumental, vocal, compositional) of all styles (classical/symphonic/orchestral, jazz, commercial). Information regarding booking groups/ensembles for gigs including, but not limited to: weddings, corporate events, church services, parties, graduations, etc. ; as well as music lessons with Tucson’s best teachers.